In Campbell-Ewald Co. v. Gomez, the U.S. Supreme Court addressed the issue of whether an offer of judgment under Federal Rule of Civil Procedure 68 made to a lead plaintiff in a class action lawsuit, in addition to a separate free-standing settlement offer in the same amount, renders a class action lawsuit moot. The Court decided that an offer of judgment does not moot a class action suit. A defendant has the ability, at least 14 days before the trial is scheduled to commence, to serve on an opposing party an offer to allow judgment on specified terms, with the costs then accrued. Once the plaintiff is served with the offer, they have the ability to accept, in writing, within an additional 14 days. The parties must then file the offer and notice of acceptance with the court and the clerk of court must then enter judgment recognizing that the parties agreed to a settlement. Under FRCP 68(b), the plaintiff may decline the offer. A declination does not preclude a later settlement offer by the defendant. An unaccepted settlement offer is not admissible evidence if the parties proceed to trial. 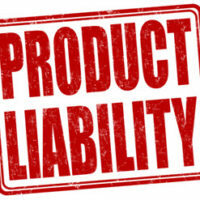 Under FRCP 68(c), if a party has accepted liability but the issue of liability remains unresolved in further proceedings, the liable party can make an offer of judgment at least 14 days before the date set for a hearing to determine the extent of liability. This provision typically applies to situations where a case has been bifurcated between issues of liability and damages. In Campbell-Ewald Co. v. Gomez, a class-action lawsuit was filed by Gomez seeking damages under the Telephone Consumer Protection Act. Gomez alleged that he received unwanted text messages from the Campbell-Ewald Company. Before Gomez filed his motion for class certification, Campbell-Ewald Company made an offer of judgment to him under FRCP 68 that would have fully satisfied the amount claimed personally by Gomez. This offer of judgment lapsed after 14 days. Campbell-Ewald Company then moved to dismiss the case claiming that no controversy remained after its offer provided Gomez with the full amount sought in damages. The District Court and the Ninth Circuit Court of Appeals disagreed with Campbell-Ewald Company so they decided to take the issue all the way to the Supreme Court. In a 6-3 decision, the Supreme Court held that the case was not rendered moot because the named plaintiff refused to accept the offer of judgment. Under Rule 68, the Court held, a lapsed offer of judgment “is considered withdrawn.” The Court pointed to fundamental principles of contract law reasoning that the offer of judgment “had no continuing efficacy” after the plaintiff let the 14-day window close. With the offer of judgment having been effectively withdrawn, the parties were in the same position as where they had started. Colvin, Chaney, Saenz & Rodriguez, L.L.P. applies decades of experience in personal injury and products liability defense to the representation of businesses across Texas. Contact one of our Brownsville product liability defense attorneys to get the help you need today.